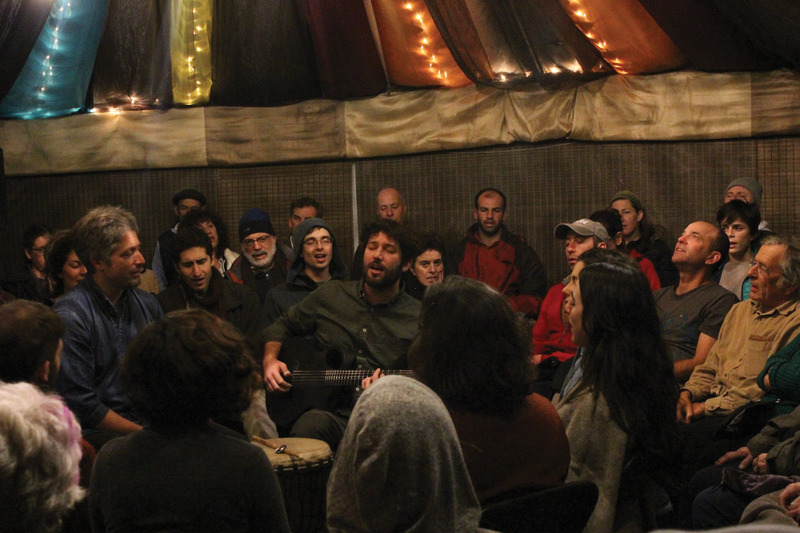 Singing and silence at Nigun Collective – J. It was at one of those rambling, multi-level houses near downtown Berkeley. There was a tall, somehow inviting wooden fence. On the double doors in the fence, there was a piece of plain white paper with “Nigun Collective” written in ballpoint pen. Inside, I met a few new people and chatted briefly with people I know from The Kitchen, Urban Adamah and Sukkot on the Farm. We gathered, about 15 people at first, in a small room lit only by candles. There were couches on two sides, chairs along one, and a table of snacks that went mostly uneaten on the other. In the middle were several meditation pillows. We all faced in toward the center. The chatting died down as the first niggun began. It lasted a couple of minutes. Then Zach Friedman (who is also director of public programs at Urban Adamah) called things to order. He explained there would be nigguns, and silence in between until someone started the next one. It was to be collaboratively led. He told us not to be shy about a niggun we weren’t sure we could carry all the way, just to share one that comes to mind. And at the end there would be Mourner’s Kaddish for a friend who held a special place in the hearts of many in the room, a regular at these monthly Nigun Collective gatherings. A niggun is a wordless melody, a singing tradition that began among Hasidic Jews in Eastern Europe. They had the idea that any tune, sung without words, could be sacred. There are countless nigguns out there, but the majority of those we sang came from a common repertoire that has gathered among communities engaged now in new prayer modes. It is heavy on the music of Joey Weisenberg, a recently emerged, suddenly prolific modern master of the niggun. But if one does want to revisit a tune they heard at Nigun Collective, a digital audio recorder was propped up on a pink bicycle helmet and a copy of “Infinite Jest.” Recordings of every single Nigun Collective tune are available online. One of the first tunes we did was Weisenberg’s Ana Bechoach melody. About two rounds later, someone who had recently arrived started it again. There was some good-natured chuckling, but we went with it. It was different that time, and no less filling. Nigguns are like that. Each one began slowly, almost unsure of itself. People smiled as they caught on, or realized that they knew this one. They grew in volume. Some lent themselves to speeding up, so that happened for a while. If not, they just grew in intensity and spirit. No matter the appeal of each person’s singing voice, we all sounded good as the voices blended into one another. Then the niggun held itself back a little, becoming softer and more deliberate before growing loud again. Then there was a big finish, followed by a denouement whispered or hummed. Then, more silence — until someone jumped in with the next tune. One refreshing highlight was a tune offered up by Jonathan Furst (the maggid from Keneset HaLev, which I wrote about at Rosh Hashanah last year). It was of an old, playful style that one doesn’t typically hear much in gatherings like Nigun Collective. It was more pointed, jumping, fun. Furst ended it suddenly and loudly, and many of us laughed out loud. Another standout was Debbie Friedman’s classic, widely loved tune for Havdalah. Its two sections (ayyyyy-ooooooo and lai-lai-lai-etc.) quickly started to happen simultaneously. It ebbed and swelled and took on a life of its own. A niggun requires little of its leader — one has only to start the niggun, the rest takes care of itself. Over the course of two hours, we sang perhaps 10. You can’t always hear everything that happened during the song until you’re not in it anymore. 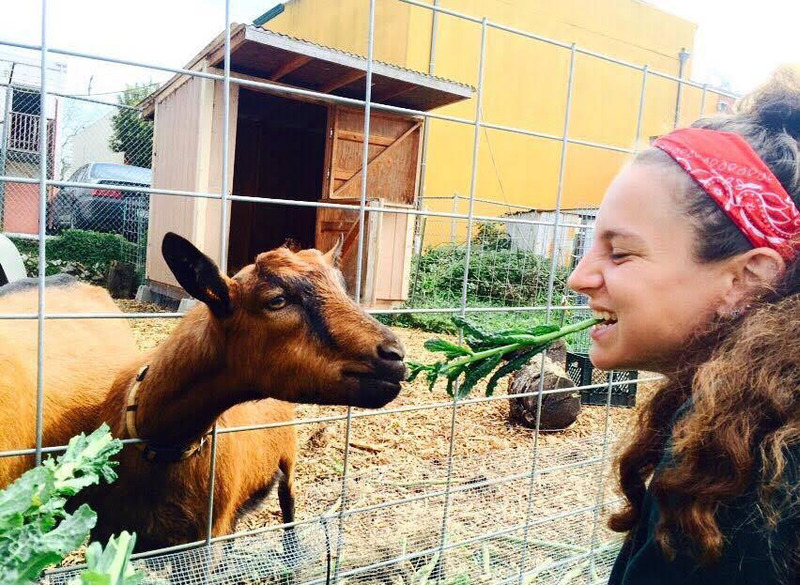 Nigun Collective grew organically out of events and people at Sukkot on the Farm and the East Bay Moishe House in late 2012/early 2013. When the founders moved away, Friedman and Khuner-Haber took over. When they first visited Nigun Collective, the format was new to both of them, but it filled a hole. It does that for many people. “Sometimes at the end you can just feel and hear the breath of relief, that they’ve been transformed over several minutes of singing,” Khuner-Haber said. Many of these people know each other well and are physically comfortable among each other. People feel free to lean on or rest their head on a friend, or to rub their back or affectionately grab their shoulders. As we went, the room continued to fill. We shifted and compressed as more arrived, always room to be found for another person, until we were around 30 and spilling over a little into the next room. Nearing the end, we moved toward Kaddish. Bolstered by the previous hour and three quarters of singing, people shared a handful of anecdotes about the man who had died. A few people added a little about others they knew who died recently. One, a woman my age, 27, was stabbed to death in Berkeley last week. In all, three relatively young people connected to this community died tragically and were mentioned. The first transgender woman killed in the U.S. this year was also mentioned. I sat on a chair; a young woman close to my age sat at my feet on a pillow. At the mention of the third local death, she began to weep. Nearby friends cradled her, and more than one person reached out with packs of tissues. 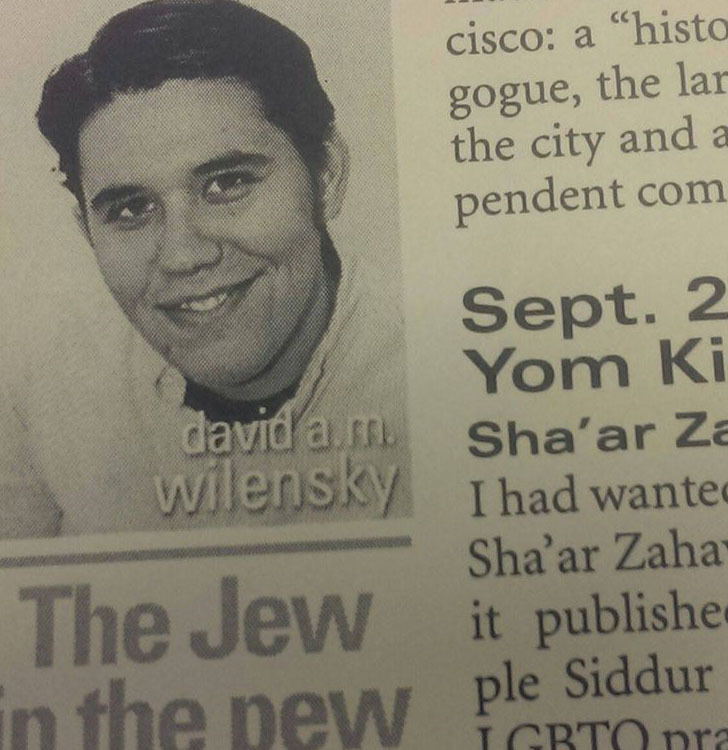 Finally, we rose to say Kaddish. Arms were wrapped around shoulders, people hugged and embraced. This was to be one of the most moving Kaddishes of which I have ever been a part. To ever be part of a community such as this one — we should all be so lucky. In the end, Friedman told us that the time had come — the time he told his housemates we’d stop singing. There were sighs all around — and another niggun began. “OK, one more!” he said. Jew in the Pew is a regular feature. Send religious, ritual and spiritual goings on to david@jweekly.com.